Actor John Leguizamo Plays Not My Job To start off spring training, we've invited actor John Leguizamo to play a game called "This Game Comes With a Shard of Brittle Gum." Three questions about baseball cards — invented in their modern form 60 years ago by Topps. To start off spring training, we've invited actor John Leguizamo to play a game called "This Game Comes With a Shard of Brittle Gum." Three questions about baseball cards — invented in their modern form 60 years ago by Topps. This segment was originally broadcast on Feb. 19, 2011. John Leguizamo is probably a "that guy" actor. You know, he's had so many different roles in so many different movies, from a thug to a drag queen that you're always like hey, it's "that guy." When he joined us in February of 2011, with panelists Charlie Pierce, Luke Burbank and Roxanne Roberts, Peter asked him about the many different nationalities he's played. SAGAL: So we've went through your filmography and it's amazing. You have played a Columbian, which you are by birth. SAGAL: An Italian, a Frenchman, a Mexican, an Arabian genie and a guy called "Guess my Nationality Guy." LEGUIZAMO: That was the character's name, "Guess my Nationality." It was a spoof on racism. LUKE BURBANK: I hope it was, other it's pretty racist. SAGAL: Exactly, exactly. So, I mean you've played all these different sort of characters and races, you've made fun of them, you've mocked them. Do you ever hear about it? Do ever, like, get guff from people? LEGUIZAMO: Yeah, you know, I did "Carlito's Way" and I don't know, Italian people must have thought it was a documentary. SAGAL: That's a move with Al Pacino. It's, in part, about the mob in New York. And you played a pretty brutal character. LEGUIZAMO: And I go, I'm sorry, it's a movie. It was written that way. You know, I didn't really shoot him. SAGAL: That's amazing. You're the only person ever to shoot Al Pacino? In all the movies he's done and no one's ever shot him? LEGUIZAMO: He's been shot but I hit the mark. And yeah, I was the first one to take him down. SAGAL: Well, good for you. It's about time somebody got that guy, it was really bothering me. LEGUIZAMO: I shot him. I shot Harrison Ford. I shot Bruce Willis. I'm going to shoot all the A-list actors. SAGAL: You have this gift for voices. You do a lot of, actually, voiceover work in cartoons and the "Ice Age" movies, "Dora the Explorer" once, which was great. And you do all these characters in your one-man shows. Have you always had a gift for that? 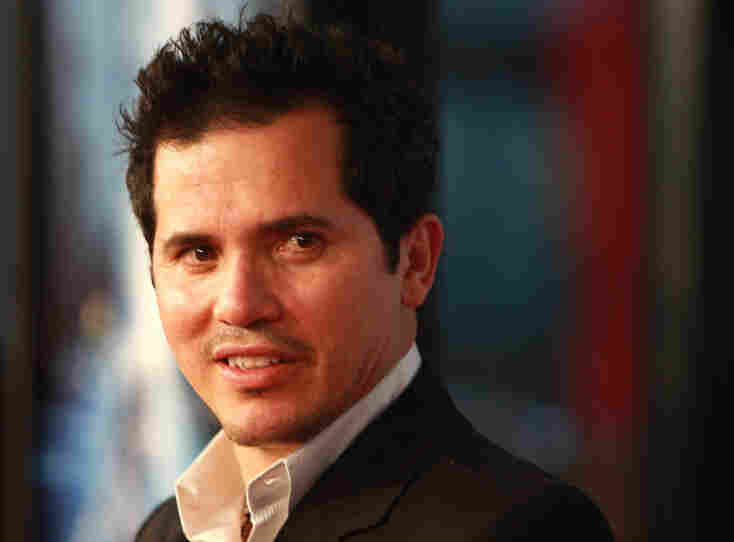 LEGUIZAMO: Yeah, I had to try not to get beat up in my neighborhood, so I was always - tried to other different types of voices to get myself out of trouble and I picked up all these voices. You know, I was always trying to be funny so I wouldn't get hurt. SAGAL: I'm sorry. Because you hear this, you hear this from talented people such as yourself. "Oh I had to learn to perform because otherwise I'd get beat up in my tough neighborhood." And I'm trying to imagine the scenario in which the neighborhood toughs are about to lay a beating on you. And they're like, well wait a minute, this guy can do a funny Jewish old man, let's not. SAGAL: That just doesn't work for me. LEGUIZAMO: Yes, like I'm going to beat you silly, and you start going, "Come on, man, why would you hit me? Come on, listen to this. You back down that quickly, you don't want to hurt this little man." And the people start laughing and they won't hurt you as much. LEGUIZAMO: We're going to punch you in your head instead of punching you all over, how about that? LEGUIZAMO: I'll do another voice, can I reduce the sentence? SAGAL: So is there a trick that you do when you come up with voices for the various kind of characters you approach? Are you one of those actors who really get into it? Or is it all just spontaneous improvisational? LEGUIZAMO: No, you know, I studied with Lee Strasberg for a day and then he passed away. It wasn't my acting ability. It probably was. CHARLIE PIERCE: For a day? SAGAL: Hold on, hold on. Lee Strasberg, probably the most famous acting teacher who ever lived. He was Pacino's acting teacher. SAGAL: And you studied with him for one day? LEGUIZAMO: He died that night. SAGAL: You're going like, "Hi, I'm here." And he goes, great, and clutches his chest. Is that what you're telling me? LEGUIZAMO: Well he said, get out of my class, you talentless schmuck and then he died later that night. SAGAL: Wow. So, OK, so you had one day of training. But then what did you do? LEGUIZAMO: But then I stayed in the class and studied with the other living teachers. SAGAL: Probably better for your career. So for example, when you did the "Ice Age" movies, you carefully studied sloths, for example. LEGUIZAMO: I did. I mean it didn't help. But no actually, it did help. SAGAL: Really? So you're playing this animated talking sloth and you went and you looked at actual sloths? LEGUIZAMO: I got footage from the Discovery Channel on sloths and I watched the footage and they said that they stored their food in their cheek pouches. Because I came up with 50 voices for the guy. I was trying to southern voice out, trying the cop voice. And then I put food in my mouth and I was like walking around, how am I going to come up with this voice? What am I going to do with this? Oh snap, this is it. And I called the director. I said, "guess who this is?" BURBANK: Mike Tyson eating Doritos. ROBERTS: Wait, wait, wait. So when you did the movie, did you have food in your mouth? LEGUIZAMO: I did the first few takes but then I got it all over the microphone and everything. So I learned how to do it without. SAGAL: That's acting. That difference between doing it with the food and not is acting. KASELL: This game comes with a shard of brittle gum. LEGUIZAMO: What does that mean? SAGAL: We're talking about baseball cards. SAGAL: Baseball cards go back a long way, but they were invented in their modern form exactly sixty years ago by the Topps company. So, to start off spring training, we're going to ask you three questions about baseball cards. Get two right and you'll win our prize for one of our listeners, Carl's voice on their voicemail. Are you ready to play? LEGUIZAMO: Yeah, yeah, I mean I haven't collected them in years. But yeah, go for it. SAGAL: All right, Carl, who is John Leguizamo playing for? KASELL: John is playing for Trish Kelly of Chicago. SAGAL: All right. Here's your first question. SAGAL: The 1956 card showing Hank Aaron sliding into a base in action is quite valuable to collectors, why? Is it because A: they used a photo of a white player and just colored it in. SAGAL: B: it's actually Willie Mays. Or C: Hank broke his toe while posing for that picture and missed twenty games. LEGUIZAMO: It can't be A that they colored a white guy. Or it is, life was really crazy back then wasn't it? LEGUIZAMO: I bet you it is some kind of random white guy that they colorized in. I'm going to go with that, I'm going to go with A.
LEGUIZAMO: Oh man, I was so close. LEGUIZAMO: I was A and the answer was B.
SAGAL: Yeah, you were like one away. You were really close. LEGUIZAMO: I was one away. LEGUIZAMO: For another is crazy. SAGAL: Is unexplained. How could that happen? All right, you still have two chances. This question is about Braves' infielder Glenn Hubbard. He had an unusual card in 1984. Why was it so unusual? A: he is shirtless in the photo? B: he is holing a python? Or C: in his pocket you can see a bottle of amphetamines? LEGUIZAMO: Oh man, this could get me into a lot of trouble. ROBERTS: That would be different. LEGUIZAMO: Yeah, yeah that would be a different situation. It can't be amphetamines. That can't be the one. LEGUIZAMO: No. And the snake, no one is going to put a baseball player with a snake on a baseball card. So it's got to be that he was shirtless. He must have thought he was a stud. SAGAL: You thought he was shirtless? SAGAL: I knew it, you knew it. SAGAL: We don't know why he was holding a python. He liked pythons. LEGUIZAMO: That's the craziest move for a ballplayer. SAGAL: It is. It was pretty cool. Maybe he was high on amphetamines. We don't know. SAGAL: All right, last question. Let's see if you can get this one. In 1989, relief pitcher Paul Gibson's card was recalled and airbrushed after it was released because fans noticed what about the original picture? A: there was a player in the background grabbing his crotch? B: Gibson was holding the ball with only his middle finger? Or C: there is a naked woman reflected in his sunglasses? LEGUIZAMO: Wow, that's a good photo shoot. SAGAL: Have to make them smile somehow. LEGUIZAMO: A naked woman in his eyes. That can't be it. What was A again? SAGAL: A was there was a player in the background grabbing his crotch. LEGUIZAMO: That's probably more likely. I mean ballplayers are always grabbing their crotches. SAGAL: Is that your choice? SAGAL: You're right. That's exactly what happened. SAGAL: It was an action shot, taken during a game, and the player behind him on second base was doing what baseball players do. He was grabbing his crotch. Carl, how did John Leguizamo do on our quiz? KASELL: Well John needed at least two correct answers to win for Trish Kelly, but he had just one correct answer. SAGAL: It's fodder. It's fodder for your resentment and anger. You'll make it up. LEGUIZAMO: I'm feeling mighty resentful. LEGUIZAMO: Not as resentful as Trish is. SAGAL: John Leguizamo, thank you so much for joining us on WAIT WAIT...DON'T TELL ME!! LEGUIZAMO: Oh, thank you for having me. SAGAL: That does it for our best of Not My Job show. 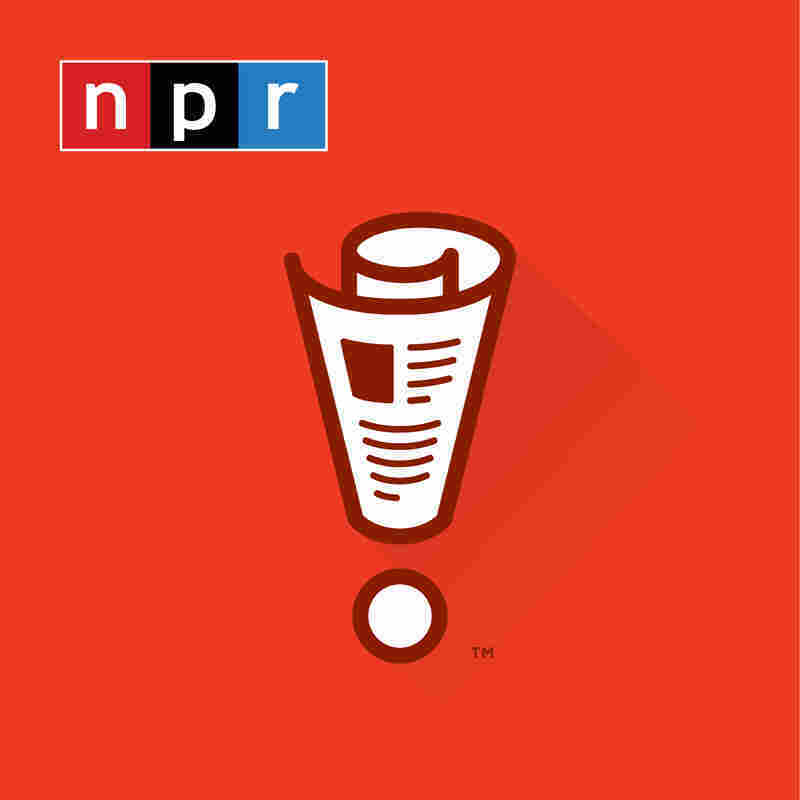 SAGAL: Thanks to Carl Kasell. Thanks also to all of our panelists, and thanks to all of you for listening. I am Peter Sagal. We will see you next.